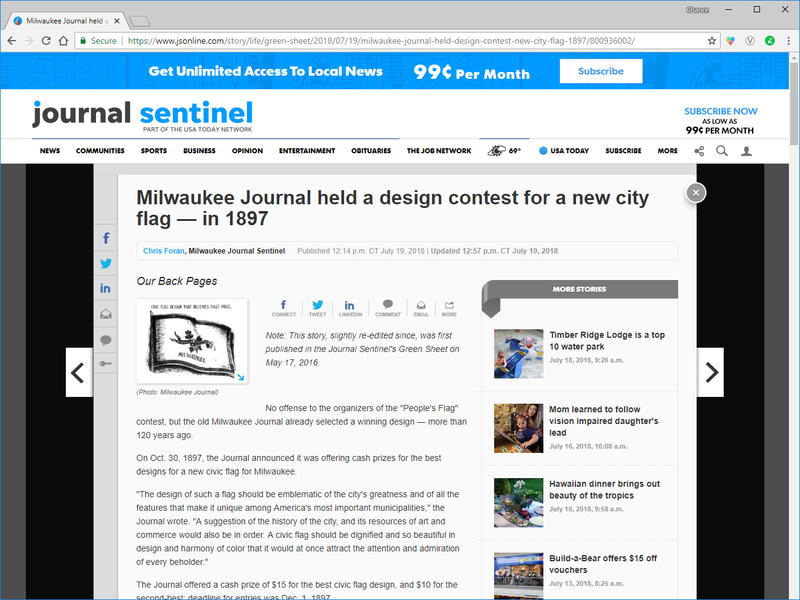 Borchert Field: Re-Print: "Milwaukee Journal held a design contest for a new city flag - in 1897"
Re-Print: "Milwaukee Journal held a design contest for a new city flag - in 1897"
In light of the Common Council's recent discussion around officially adopting the People's Flag of Milwaukee, the Journal Sentinel has re-printed an article originally published back in 2016. And since they say nice things about BorchertField.com, we'll re-print their re-print here. 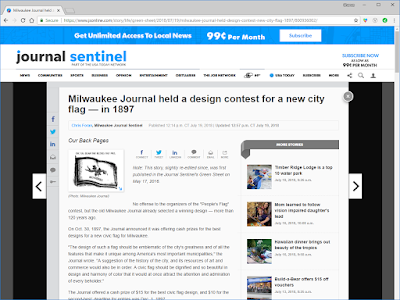 Note: This story, slightly re-edited since, was first published in the Journal Sentinel's Green Sheet on May 17, 2016. No offense to the organizers of the "People's Flag" contest, but the old Milwaukee Journal already selected a winning design — more than 120 years ago. 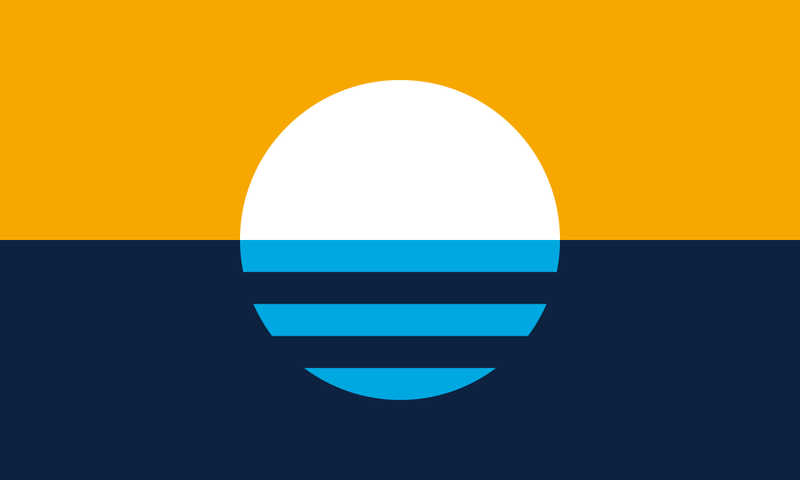 "The design is simple," Rauschenberger said in the Journal story, "but it is artistic and eminently fitting. The very fact that it is simple will be a factor in having it copied largely and used very generally as a municipal decoration. ... .It is a good plan, and the Journal has shown considerable enterprise as well as rare judgment in proposing and arranging the competition." In a story in the Journal on Jan. 11, 1898, Ely explained why some of the submissions didn't pass muster. One design, which represented the city's three rivers forming a "perfect cross," was thought "altogether too ecclesiastical in appearance." A "very elegant" design incorporating a fleur-de-lis — likely a shout-out to city father Solomon Juneau — was rejected as "too 'Frenchy.' "
Our Back Pages dips into those archives, sharing photos and stories from the past that connect, reflect and sometimes contradict the Milwaukee we know today — or at least give us something to smile about. 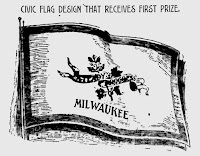 Our original article on Milwaukee's flag history, the one that inspired the Journal Sentinel's piece, is here.